GENUINE ONE LADY OWNER FROM NEW EXAMPLE WITH THE MOST INCREDIBLE FULL TOYOTA MAIN DEALER HISTORY, HAVING BEEN SERVICE EVERY SINGE YEAR WITH AL SUPPORTING TOYOTA INVOICES AND ALL MAINTENANCE BILLS. I HAVE NEVER SEEN A VEHICLE SO WELL CARED FOR AND PAPERWORK SO METICULOUSLY PRESERVED. THIS VEHICLE IS A REAL CREDIT TO IT'S OWNER. JUST ARRIVED! 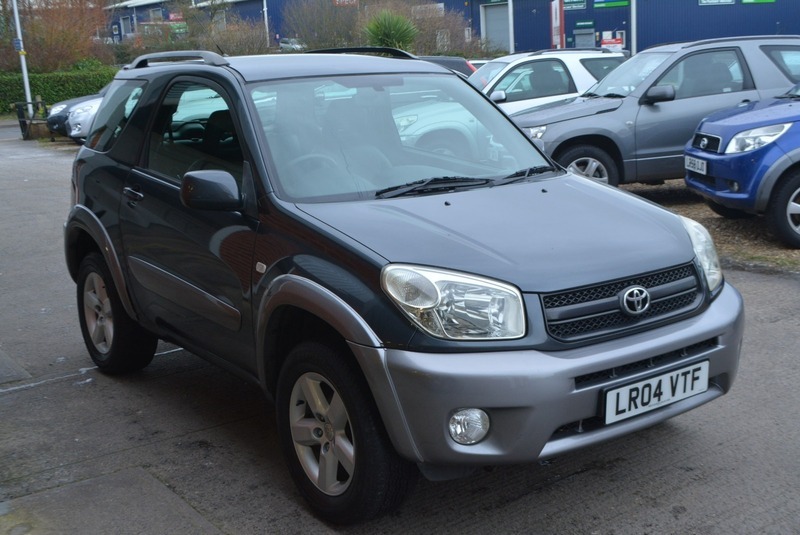 Here we have an exceptional TOYOTA RAV4 XT3 VVT-I MANUAL 2.0L PETROL 3 DOOR 4X4 in decuma grey metallic with full back leather interior in truly outstanding condition throughout. This vehicle has the best ownership and history possible, although it has only covered 86,000 miles, with the way it has been looked after you would still want to buy it if it had done over 300k. Must be seen to be fully appreciated. Coming fully equipped with alloy wheels, full black leather interior, air conditioning, rear mounted full size alloy spare wheel, fully folding an completely removable rear seats, electric windows, am/fm stereo with front loading cd player, electric mirrors, two fully remote keys and one non-remote service/valet key.